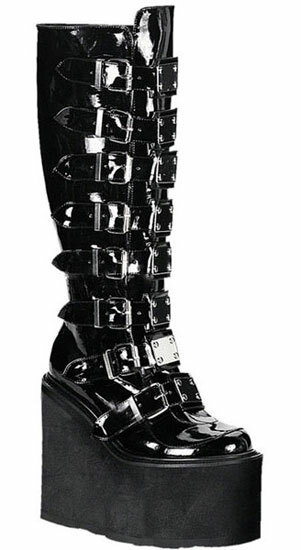 These fantastic black patent boots have a 5 1/2 inch platform with 8 straps with metal pates riveted to them. Comes with a full back zipper for easy on and off. These boots are a dream come true. I hope they never break, because I want to wear them forever. Just got these delivered and I immediately had to try them on, I was so impressed. I did have to adjust the buckles to as tight as I could get them because I have extremely small calves but once I had them on and stood up to look in he mirror I squealed like a little girl because I was so happy haha. I would highly recommend these boots. 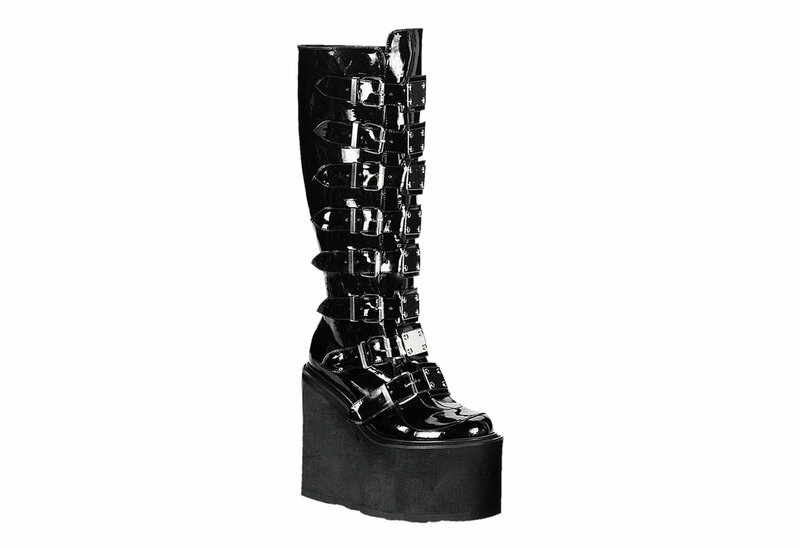 I am in love with these boots, They came fast and are much more comfortable then you would think. The belts adjust nicely so if you have bigger calf's. The only time my feet start hurting are if I walk hours on end in them, but that is expected for most boots. Overall they are highly recommended. WOW! I love them! They are beautiful...they are so easy to walk in. My only problem is they give me blisters on the back of my foot within an hour. BUT otherwise they are the most amazing boots in the world!